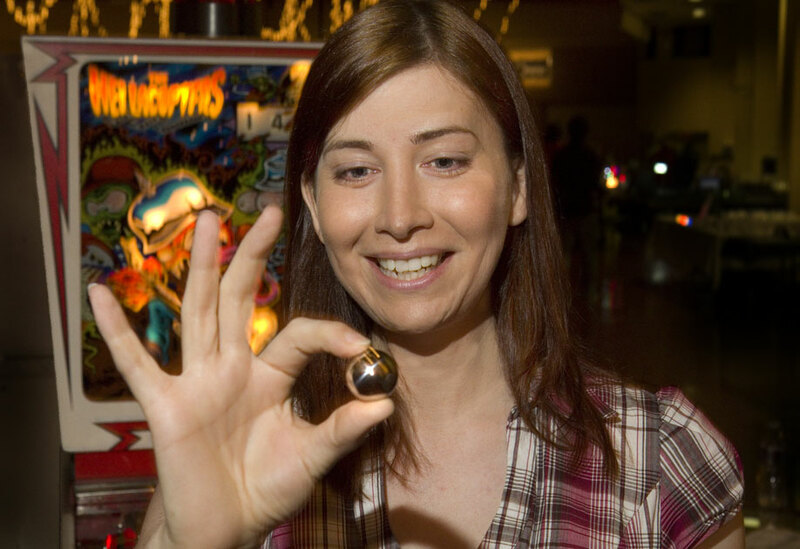 Jeri Ellsworth, my favorite real life pinball girl, will be featured in PBDG. You can see more photos of Jeri in the Pinball Donut Girl gallery on indiegogo.com. Consider supporting PBDG while you’re there. Skip your latte, and become a filmmaker instead! 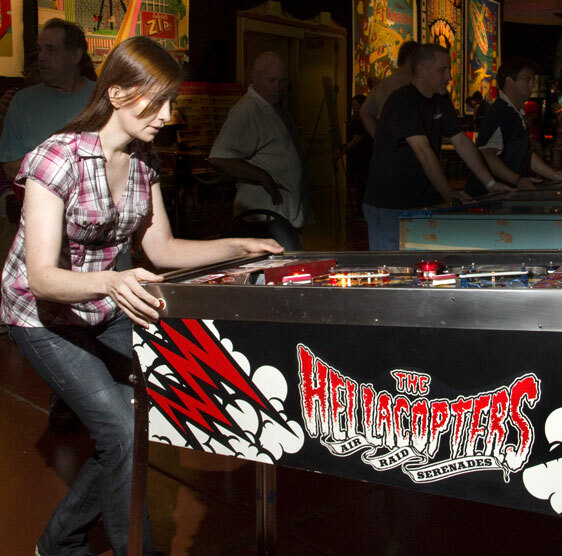 All the photos were taken at Pacific Pinball Expo 2011. The game, of course, is Wade Krause and Dirty Donny’s custom pin Hellcopters. This entry was posted in Cast, Pinball People, Pinball Shows and tagged film, jeri ellsworth, people, pinball by Anna Newman. Bookmark the permalink.